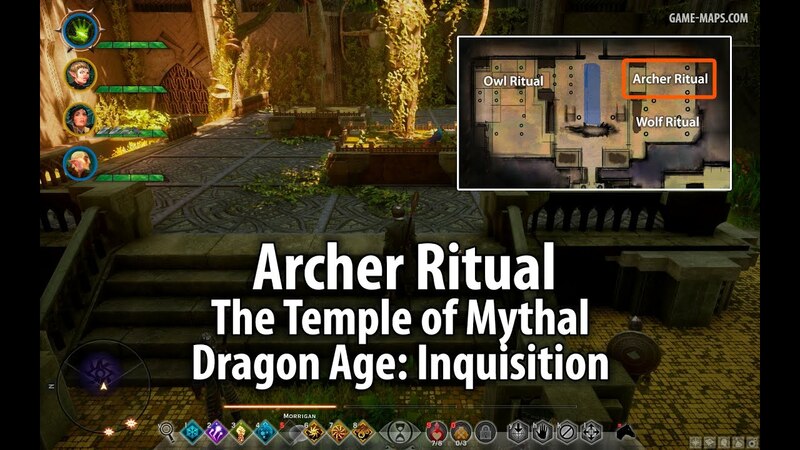 The Temple of Mythal - Dragon Age: Inquisition Walkthrough, Game Guide and Maps, with Quest and Locations of Camps, Merchants, Rifts, Ocularums, Astrarium, Dungeon Entrences, Landmark (POIs), Crafting Station, Mosaic Piece, Inquisition Agent, Secrets, Party Members, Bottle of Thedas and Codex Entry. The Dalish use "Harellan" to mean "traitor to one's kin," but the word does not appear in any elven text before the Towers Age. The ancient root-word is related to "harillen," or opposition, and "hellathen," or noble struggle. 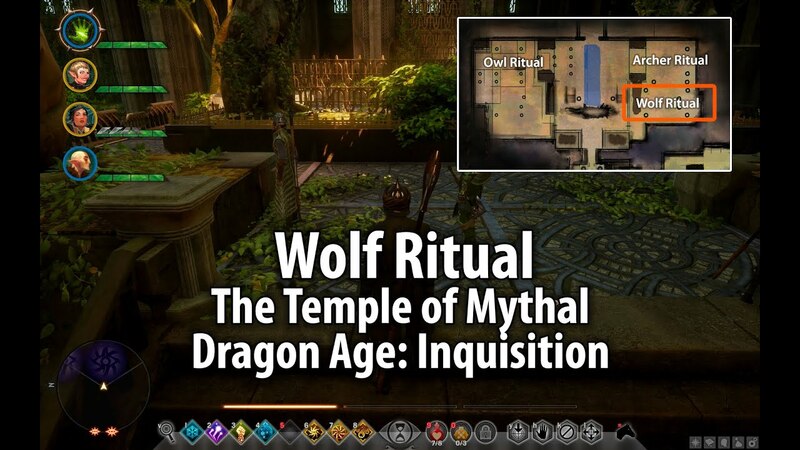 The Dalish call Fen'Harel a god of deception, but I posit a far more accurate translation would be "god of rebellion." What he rebelled against is a story lost to time. In Dalish legends, Fen'Harel seals away the other deities out of love of trickery. If we understood more ancient elven, we might find earlier versions of the Dread Wolf's story give him a more nuanced motivation beyond spite. From "A Treaty on the Pagan and Heretical Customs of the Elven", by Senallen Tavernier of the University of Orlais, commissioned by Empress Celene. 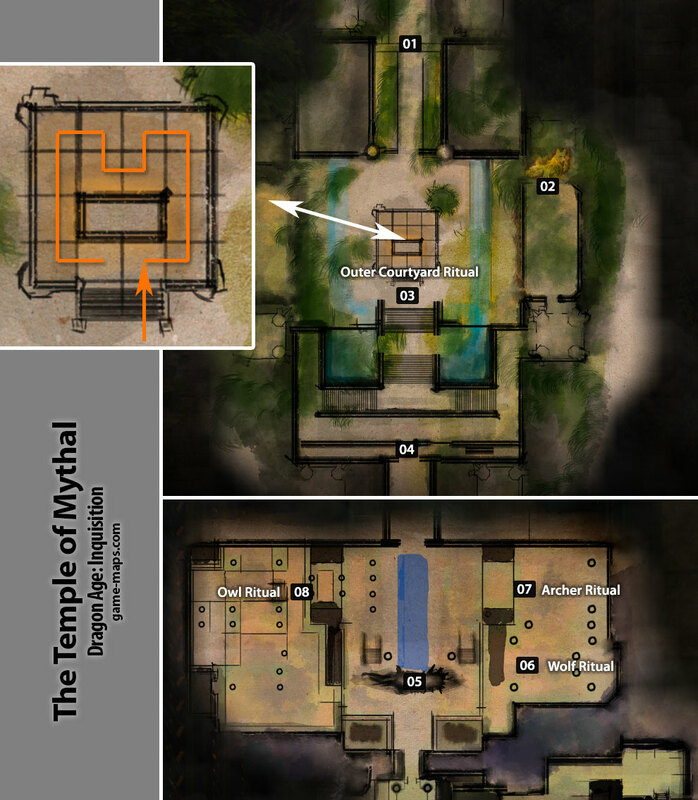 There are 4 Rituals in The Temple of Mythal. There are more than one way to complete it. You have to finish only this one to complete Temple, but if you want to ally with temple guardians you have to finish all 4. 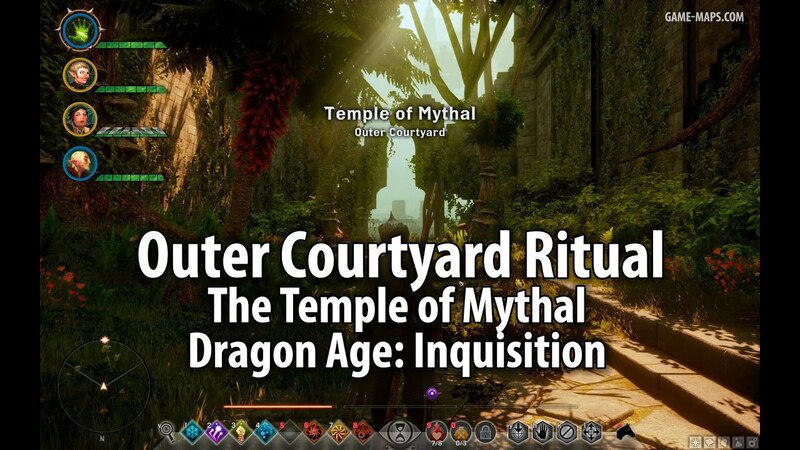 To enter Temple of Mythal you have to complete this Ritual Puzzle. Go and stand once for each tile in the order shown in the illustration. Doors will open after solving ritul. If you dont want to finish all rituals, just jump this hole to follow Samson (or Calpernia). 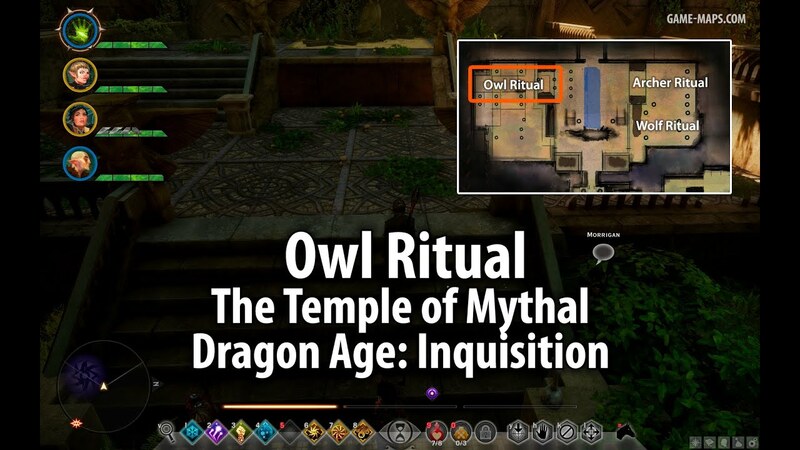 But if you want to ally with Abelas and Elven Sentinels you have to finish other 3 Rituals.